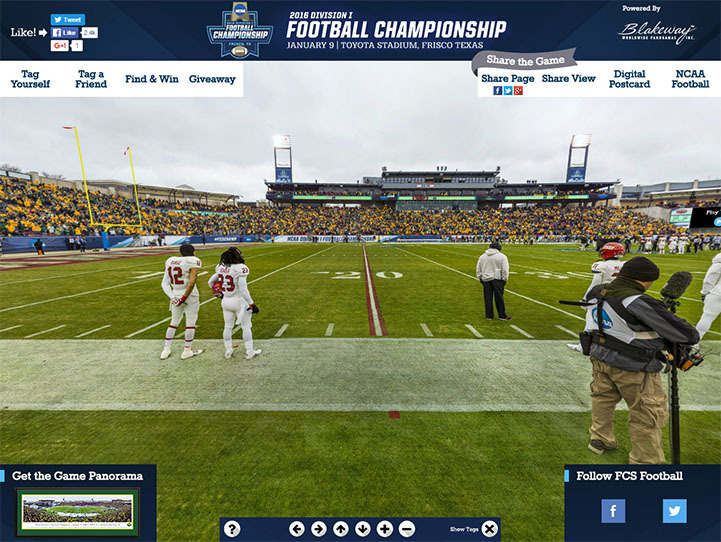 This panorama of the North Dakota State Bison football team winning their fifth straight NCAA Division I Football Championship Game was taken by Christopher Gjevre. NDSU competed against the Jacksonville State Gamecocks, who were making their first appearance in the FCS championship game. North Dakota State was the first college football team at any level to win five straight national titles. The Bison compiled a 71-5 record during the historic run, including an FCS record 33-game winning streak.